Thank you all, wow. Well, thank you all. Thank you all so much. How can I possibly express myself after Dolly and now you guys. I mean, it's -- what a week this has been, though. And so you are kind of anticlimactic. Didn't you hear the booms day talk is moved up to two-and-a-half minutes before midnight. And this award, it came just in the nick of time. When the great Ruth Gordon received an Oscar for the first time, at 72, she said, "I can't tell you how encouraging a thing like this could be." Wait a minute, I just realized I'm older than Ruth Gordon was at that point, but it is an honor to receive -- it is inspiring, really, to receive an award like this. Oh, I didn't even realize the sadness was on the other side. I've been close to this many times. It's amazing. I think you should have... (turns award around). Ironically, ironically this award makes you feel like you've -- not that you've done so much but more like you wish you had done so much more to receive an honor such as this. In my defense, I wasted a lot of time being ambitious about the wrong things. When I recall my youth, I can't even point to a time when I showed promise to be anything but trouble. When I was a senior in high school, my counselor called me into his office to tell me that they were thinking of holding back my diploma. I said, "Gee, whiz, Mr. Daniels, why would you do something like that?" Turns out, I had been a student for 4 years, but I had been absent 1. Cumulatively, I had been absent 1 year. I would literally stay out 12, 13 days in a row if my hair didn't turn out right. And those of you from that era know what I mean because hair was really important. But somehow I learned to turn my -- my flaws into spiritual lessons. I must say watching "Oprah" really helped. And now, after 50 years in the business, I find young actors are asking me for sage advice hoping for, you know, kind of nuggets of wisdom. So along with telling them to wear sunscreen, I suggest a few other things I think you may find helpful. Don't leave the house when you are drunk. And if you are already out there, well, you must learn to tell when you've had too much to drink. Listen to your friends. When they stop talking to you and start talking about you, saying things like, "Did she have a purse?" And don't be anxious about missing an opportunity. Behind every failure is an opportunity someone wishes they had missed. Meryl is laughing at this, and there's absolutely no time she's had a failure. And mind what Thoreau said, "Beware of any enterprise which requires new clothing." Doesn't that ring sort of true tonight? To a few of you? Does to me. Live your life so that when you are being being honored for your achievements, the people called upon to make laudatory remarks can feel reasonably honest about their comments. Otherwise, all -- in these times, all their words or of phrase might be perceived as alternative facts or, worse yet, fake news. There are so many people, more people to thank for helping me with my achievements than I actually have achievements. Tonight, I'm going to go home. I'm going to make a really big entry into my gratitude journal. Thank you, thank you, all of you. Ruth Gordon was right when she said how encouraging a thing like this is. I feel like I'm just getting started. What sign should I make for the next march? So much to do; global warming, standing rock, LBGT issues, Chinese missiles, immigration. Thank you. Thank you to the Screen Actors Guild and to SAG-AFTRA. I'm just really grateful. I'm so glad this speech is almost over. And, you know, we could all go out and, like, really change things. And in fact I feel like I feel -- as long as I don't have to audition, I just may be back. Thank you all. Thank you all. Lily Tomlin – an entertainment maverick whose talents put her at the pinnacle of comedy, acting, writing and producing – has been named the 53rd recipient of SAG-AFTRA's highest tribute: the SAG Life Achievement Award for career achievement and humanitarian accomplishment.  Tomlin willbe presented the performers union's most prestigious distinction at the 23rd Annual Screen Actors Guild Awards®, which will be simulcast live nationwide on TNT and TBS on Sunday, Jan. 29, 2017 at 8 p.m. (ET), 7 p.m. (CT), 6 p.m. (MT) and 5 p.m. (PT). The SAG Life Achievement Award will join Tomlin's extraordinary collection of preeminent industry and public honors, which includes a 2014 Kennedy Center Award, the 2003 Mark Twain Prize for American Humor, two Peabody Awards, multiple Emmys® (including this year's Lead Comedy Actress nomination), numerous American Comedy Awards, two Tony® Awards, a Grammy®, a Writers Guild of America Award and both the Crystal Award and the Lucy Award from Women in Film. That Tomlin embodies the SAG Life Achievement Award’s "finest ideals of the acting profession" is amply celebrated by these and her numerous other professional and philanthropic commendations. Tomlin has been a cherished star in the entertainment firmament since she joined the groundbreaking television series Rowan and Martin's Laugh-In in 1969, when it was rated the No. 1 show and watched by over 25 percent of all American television viewers. She and the colony of characters she created have continued to evolve, grow, deepen and adapt to this day, as Tomlin expresses her talents in nearly all forms of media. It was Laugh-In – which T.V. Guide magazine named one of “50 Greatest TV Shows of All Time” – that introduced mainstream America to Tomlin characters like the overbearing (and snorting) switchboard operator Ernestine, the philosophical 5-and-a-half-year-old Edith Ann and the ultimate very tasteful suburban socialite Mrs. Audrey Earbore III. In Tomlin’s very first movie, Robert Altman's Nashville, she earned Oscar®, Golden Globe®, BAFTA and other award nominations for her performance as Linnea, a gospel singer with a strained marriage and two deaf children. She went on to dozens of leading roles in a catalog that includes The Incredible Shrinking Woman, written by Wagner; Altman's The Late Show; 9 to 5,with Jane Fonda and Dolly Parton; All of Me, with Steve Martin; Woody Allen’s Shadows and Fog; Jim Abraham's Big Business, with Bette Midler; David O. Russell’s I Heart Huckabees, with Dustin Hoffman; Franco Zeffirelli's Tea with Mussolini, with Maggie Smith and Judi Dench; and two additional Altman movies, Short Cuts and the director's final film, A Prairie Home Companion, written by and co-starring Garrison Keillor. Most recently she played the title character in the dramedy Grandma, a psychologically deep role director/writer Paul Weitz said he developed with Tomlin in mind and which earned her a Golden Globe nomination. In an early milestone, Tomlin appeared in her first solo Broadway show, Appearing Nitely, which featured some of what are now her most beloved and memorable characters. Along with the already classic Ernestine and Edith Ann were Lucille, who has an unusually intense relationship with rubber; Lud and Marie; Sister Boogie Woman; and the touching acumen of Trudy the Bag Lady. The show earned Tomlin a Tony and a Time magazine cover story with the headline, “America’s New Queen of Comedy.” Her next Broadway triumph was in Jane Wagner’s play The Search for Signs of Intelligent Life in the Universe, which earned her a second Tony for Best Actress, as well as a Drama Desk Award and an Outer Critics' Circle Award. She later reprised this role in the film adaptation of the same name, which won a CableACE Award. Tomlin is internationally known for her sharply witty yet compassionate live performances, which include the above characters, as well as Madame Lupe, the world's oldest living beauty expert, and Mrs. Beasley, Middle America's most famous housewife.